Frame.io integration with Scheduler will allow you easily transfer videos to your Scheduler Storage, which will save you a lot of time for downloading and re-uploading them. The process is multi level and a bit tricky, so let's get right into it. 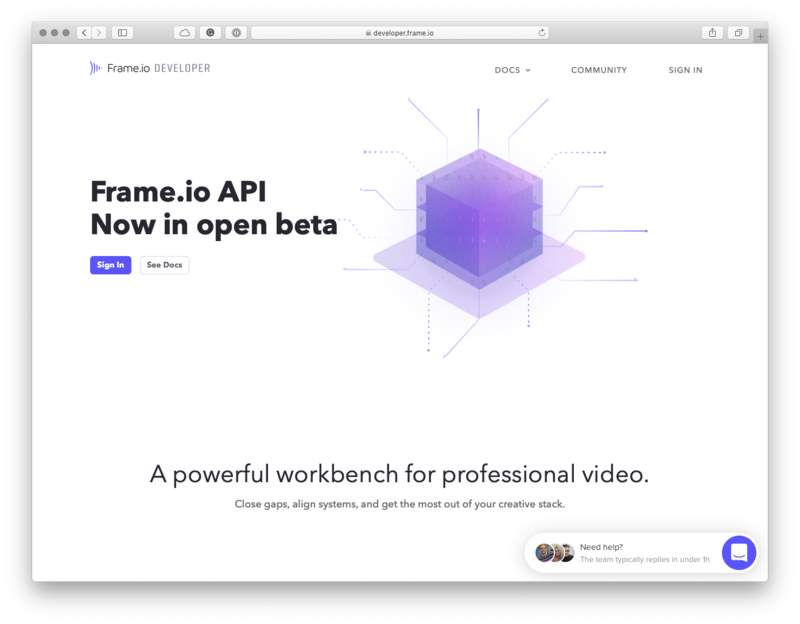 Head over to the Frame.io Developer Portal, and sign in with your Frame.io account. Click on “Create a Token”. Name the token and enter your data, making sure to select all the “Asset” scopes. 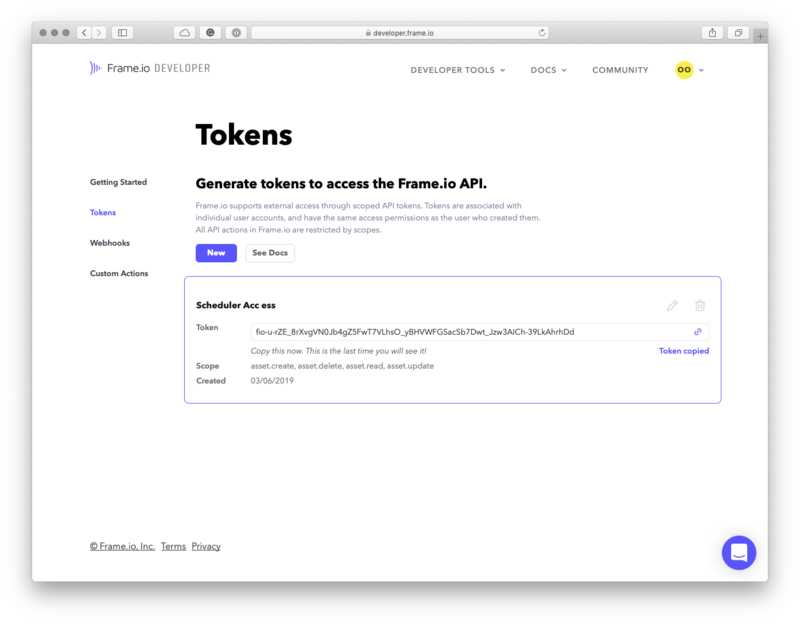 You will see your access token generated at your Tokens Page. 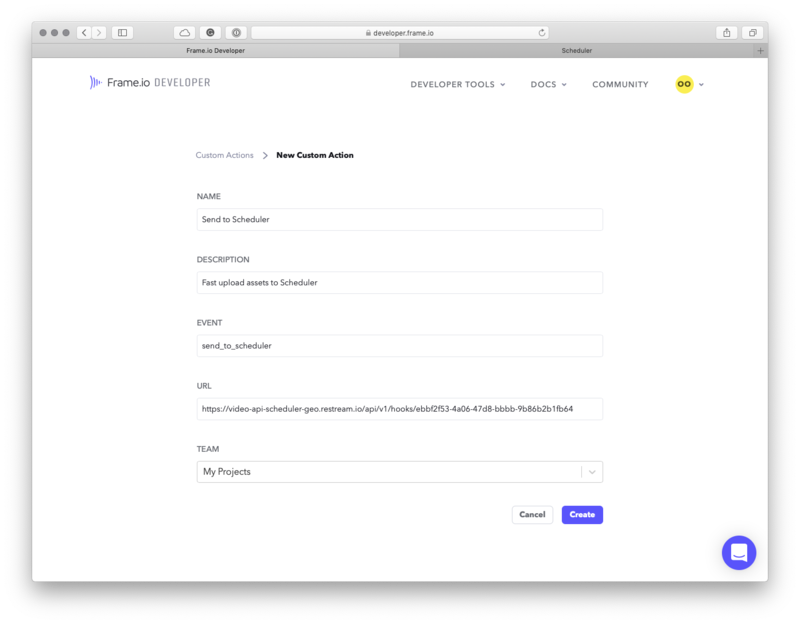 Copy your generated tokens and fill in your Scheduler Integrations. You will see a green check mark on the top right corner of the input field if your token is right. You will get the Team Custom Action URL now. Copy it. 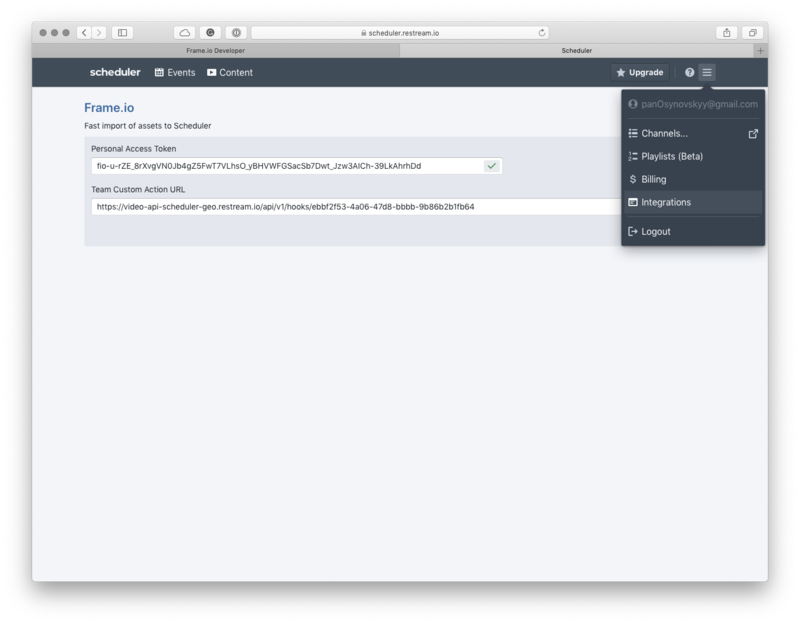 Navigate to Custom Actions Page on Frame.io Developer Portal and create an action here using your copied URL. 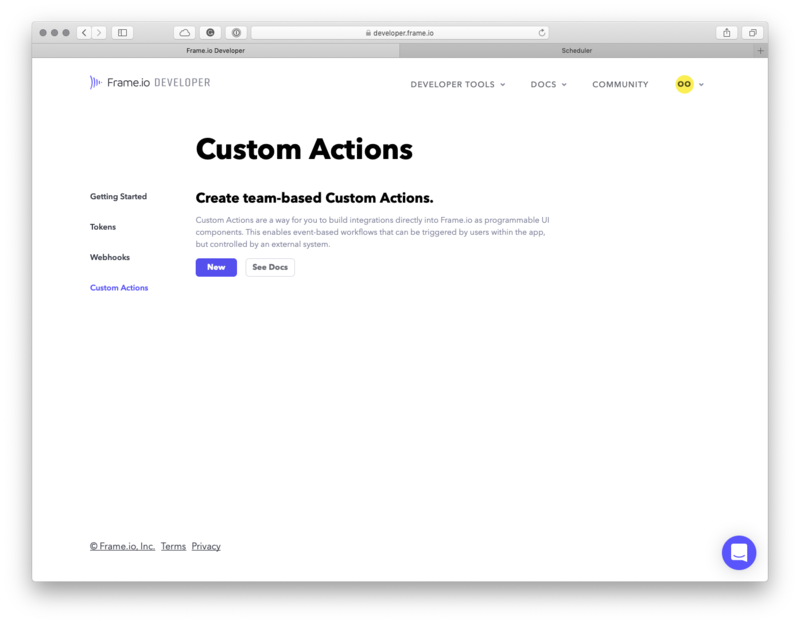 URL: paste the previously copied Team Custom Action URL. After you click on "Create" the integration is done and ready to use!